One of the main thing on my agenda on the last working day of the year is to make a donation to GOSH (Great Ormand Street Hospital) charity. 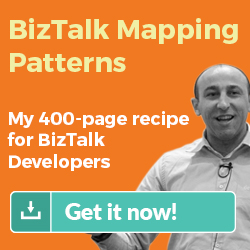 I started doing this since we launched BizTalk360 back in 2011. Here is the summary of what we have contributed to GOSH in the last 5 years with the links to the articles. bringing the total contribution to ~$36,000. There are times in life when “thank you” doesn’t seem enough. There are some great people out there doing some incredible things, this is our way of giving little support to them. We hope to do more in the future. Let the new year brings joy and happiness to everyone.